I sang in choir from when I was in middle school and all throughout high school. I absolutely loved it, especially when I got to sing songs about my faith and God. Since being in college, I haven’t been able to do much choir stuff, at least not as much as I had in high school. I still sing in choir at Mass on Sundays, and still enjoy it. 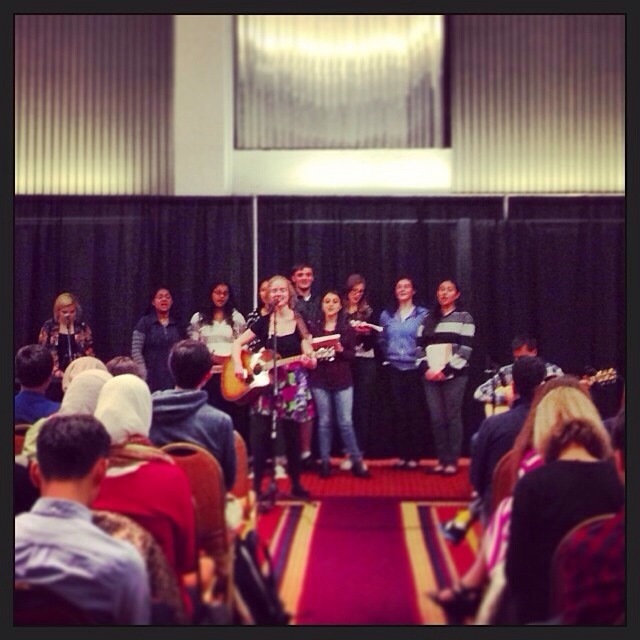 Tonight, BU held an interfaith event, and invited the BUCC Choir to sing at the event. We took the invitation and sang How Great is Our God at the event. It was a lot of fun singing about our faith, especially to a diverse group of people in their faith. I haven’t gotten to perform for a performance like that in a while, so I appreciated the chance to do that tonight! Thank you Megan Collins for inviting me and helping us put it all together. ← Yes Mom, I’m still doing all my homework!